· Infusionsoft & PayPal API Payment Processing – this service is used to serve our ecommerce platform. At no time is your banking information passed to the Website. We receive only information used for order fulfillment. · Infusionsoft – this service is used for delivery of email updates and newsletters. We store your name and email address for purposes of delivering such communications. · Gravity Forms — this service collects your information when you opt-in to anything, or fill in any other forms on our website. Opt-out – You may opt-out of future email communications by following the unsubscribe links in our emails. You may also notify us at support@hiroboga.com to be removed from our mailing list. 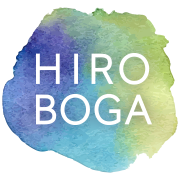 Access – You may access the personal information we have about you by submitting a request to support@hiroboga.com. Amend – You may contact us at support@hiroboga.com to amend or update your personal information. Forget – In certain situations, you may request that we erase or forget your personal data. To do so, please submit a request to support@hiroboga.com. The Website does not knowingly collect any personally identifiable information from children under the age of 16. If a parent or guardian believes that the Website has personally identifiable information of a child under the age of 16 in its database, please contact us immediately at support@hiroboga.com and we will use our best efforts to promptly remove such information from our records.